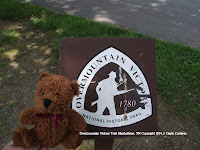 The Overmountain Victory Trail signs that we saw on Roan Mountain State Park in Tennessee and at Sycamore Shoals piqued my interest. This auto tour (commemorative motor route) was new to me. You know how I am. 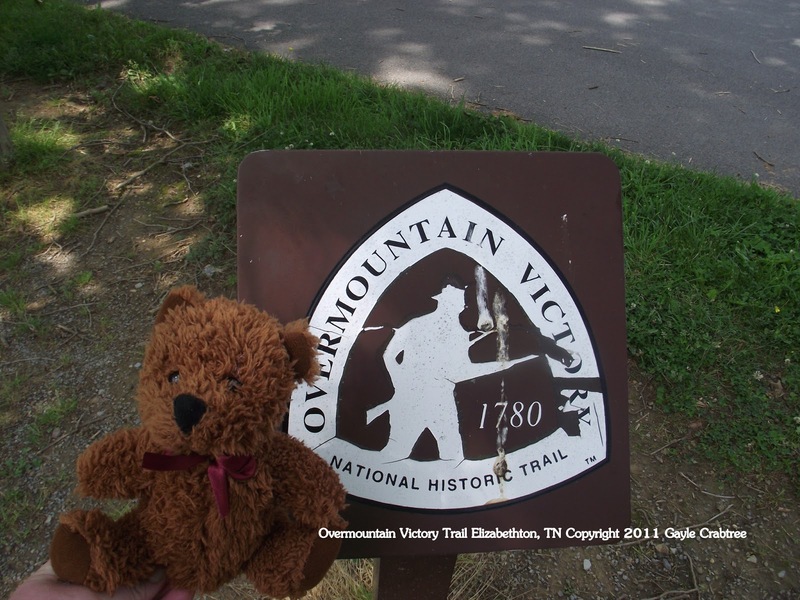 It was time to see where Overmountain Victory Trails signs would lead. Rangers at the Sycamore Shoals Visitor Center filled me in on some details. We were on part of a National Historic Trail that covers portions of Tennessee, North Carolina, South Carolina and Virginia. The road trip begins in Abdington, Virginia and ends in South Carolina. Here is the history behind the motor route. In 1780, a plea for help was issued from Kings Mountain in South Carolina. American loyalist forces who supported the crown were on the move. The patriots needed help and needed it quickly. When the call arrived it answered by "overmountain men" from Tennessee, Virginia and North Carolina. All of the patriots left fields, livestock, homes and family to answer the call. Patriots forces were outnumbered, outgunned and out trained. Yet, they persevered. The ranger said that it took about an hour for the Overmountain Men and other patriots to capture 800 loyalist troops and end the attack. The Battle of Kings Mountain went down in history as a decisive patriot victory in the Revolutionary War. Kings Mountain National Park, South Carolina. You can download a road trip map for the motor route on the National Parks website. It is a .pdf and takes a minute to download. Information about Sycamore Shoals State Park and brochures on the Overmountain Victory Trail can be picked up in Elizabethton. It isn't directly on the route but it is an interesting place to visit. My article on the Chamber of Commerce covers our visit to the center.